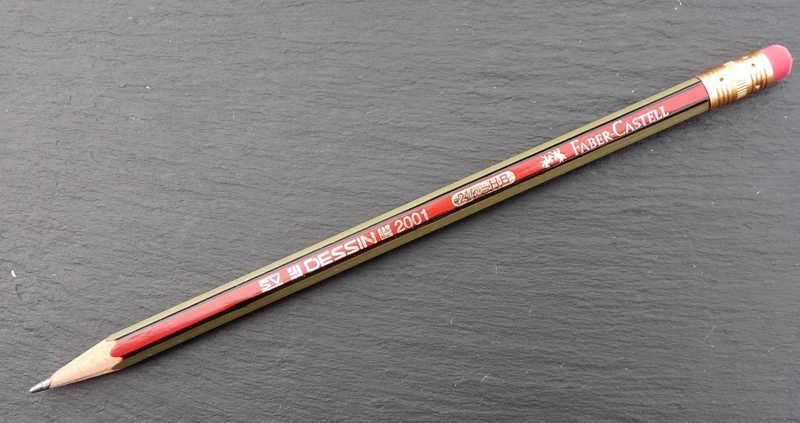 Faber-Castell Dessin 2001 Pencil Review – Pens! Paper! Pencils! 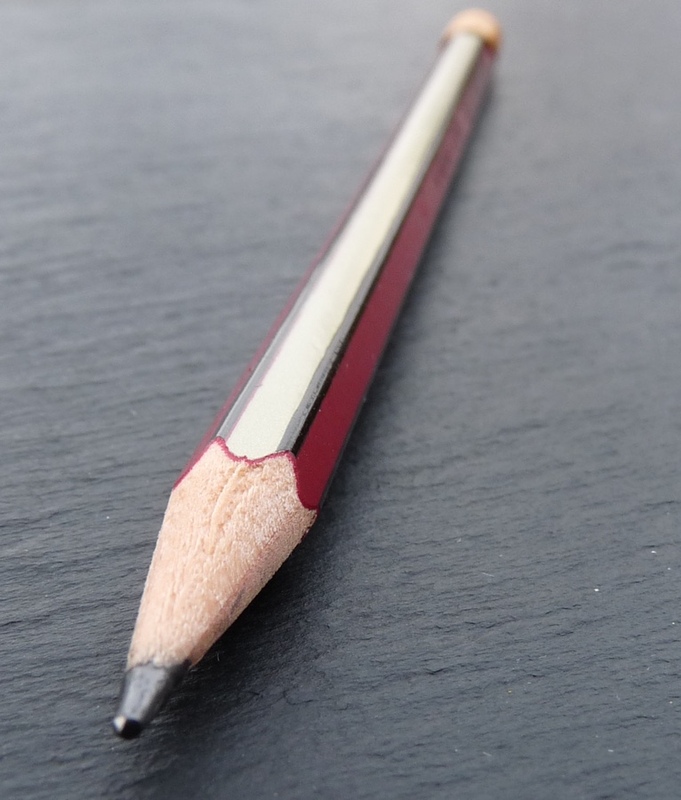 The Faber-Castell Dessin 2001 is a mid-priced (about 70p/$1) wooden pencil. It’s only available in a limited range of lead grades (I’ve seen HB, B and 2B but there may be more). This 2001 version has an eraser, there’s a 2000 version that’s without. The finish is water-based and applied well although the gold lettering does rub off a little with use. It’s cursed, as pencils so often are, with a barcode but it doesn’t look as bad as some. 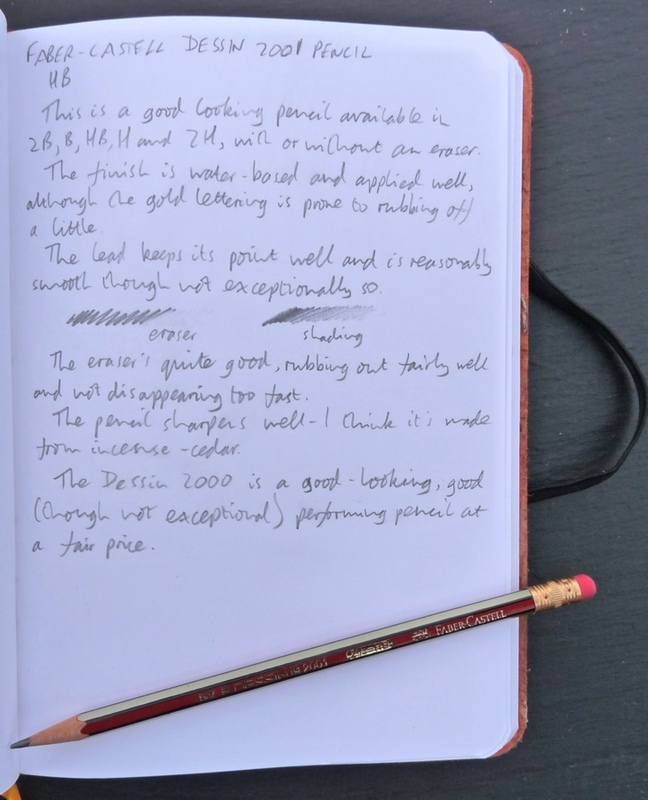 The lead holds its point quite well and the pencil sharpens easily. The hexagonal barrel is made from incense cedar (I think). The pink eraser works quite well. It does rub out, mostly, and it doesn’t disappear too quickly. 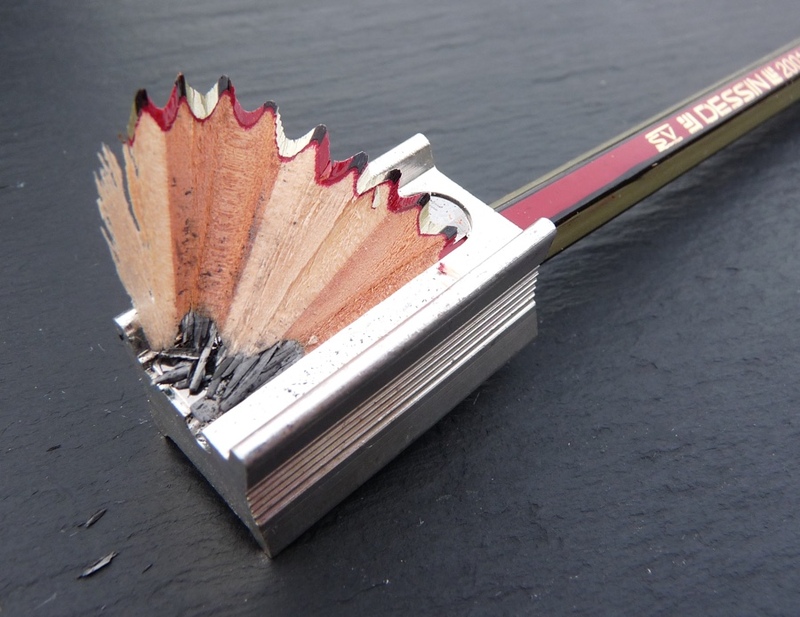 Looks are subjective but I do think this pencil looks very stylish. It also performs pretty well. I enjoy writing with it but wouldn’t choose to draw with it. 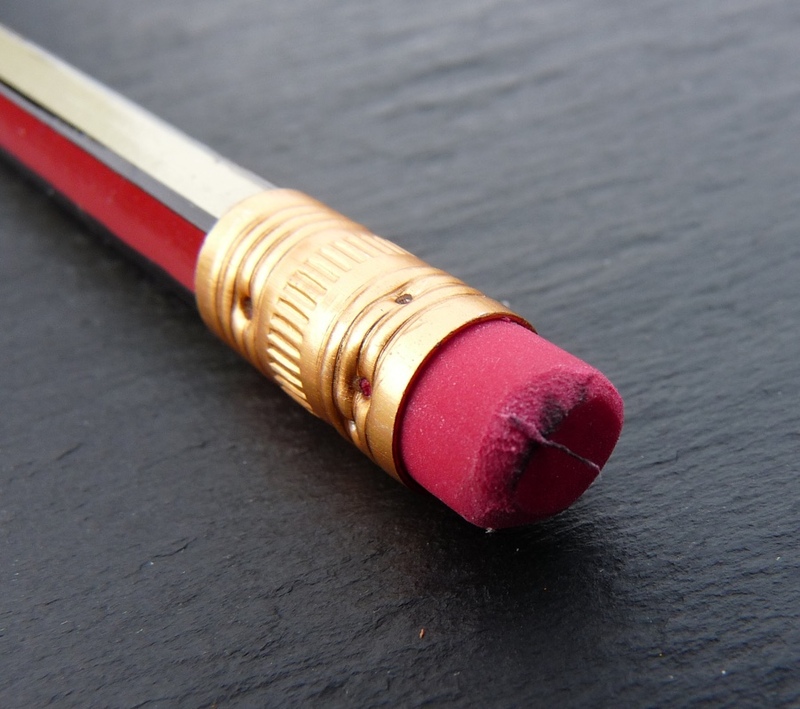 A good pencil for the money. Ian, I can’t put my finger on it, but I agree, for some reason the barcode appears inconspicuous on the Dessin. I think the Dessin’s colour scheme and striping make for a very handsome pencil.